Designers are a social breed: we like to mingle, exchange ideas, bounce concepts off one another’s heads, poke our noses into other people’s business and get involved in long discussions about little things. We find it re-affirming to look, see, hear, experience, taste and sample other people’s work because it gives us the faith that we’re not alone in our creative pursuits. As a young design student, I’d sit at the tea stall on the boundary wall of our campus every time I felt like I needed to connect with other creative souls. It looked a lot like slacking off, and sometimes it was. We jokingly called it “conceptualizing” but in reality it was more like opening one’s mind to the ideas of other people. Often the people gathered there would discuss their individual projects, sometimes exchange sketchbooks and frequently share notes about the latest trends they’d heard of or the newest, coolest designers they’d read about online. The vibe at the tea-stall was incredible. Sitting there, precariously balanced on a little ledge or slab of concrete, tiny teacup in hand, spurred on by other tea-drinkers, is where I had some of my best ideas. Stepping outside the studio and meeting designers from different disciplines, allowed me the space to experience some real connect-the-dots moments – ones that were always hard to come by while working in isolation. If the recent rise of the design event is anything to go by, it looks like I’m not alone: no longer merely content with the virtual world of blogs, e-groups and social networks, designers are now seeking out others of their ilk at conferences, socials and specially curated festivals. Ranging in duration from an evening’s dinner to a week-long festival, events such as Unbox, the Pune Design Festival, Kyoorius DesignYatra and India Design Forum bring not just publicity to the profession, but also some real opportunities for creative minds to socialize. They’re great spaces to reach out to like-minded people, network and find collaborators, and are invaluable to gauge trends shaping the world around us. The chance to meet people from across India – indeed, around the world – has proved to be a big attraction for Indian design professionals. Every major event features prominent international practitioners in its speakers’ list. Inevitably, the speakers are people with whom it would be very rare to have the chance to meet and the pretext of a conference is a welcome opportunity to do so. In recent months, heavy weights such as the prolific Karim Rashid and the charming Irma Boom have brought fresh insights to design in a global context. Hearing speakers like them in person is a far more rewarding experience than simply reading about their work or watching videos on the Internet. Articulate, charismatic, they have brought unique perspectives to contemporary practice and provided food for thought long after the event has been over. Big names however, aren’t the only draw: functioning as networking platforms, design events enable meeting points for designers, thinkers, practitioners, educators regardless of age or discipline. Young designers (for whom there are often incentives to attend these events) get the chance to rub shoulders with the great and good of the design world. In the absence of strong national-level networks, design events have become the places where many people get their fix of news, views and even gossip. I think of them as chaupals and tea stalls of the creative industry. Depending on one’s taste, there’s quite a menu available to someone who wants to take advantage of a design event. 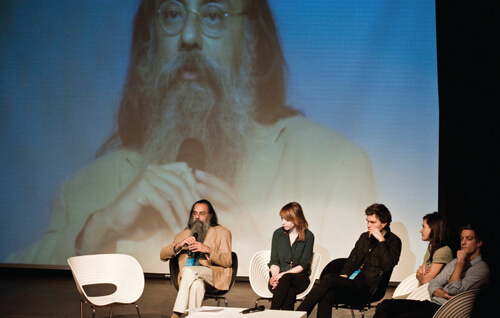 The best known and by far the largest of all design conferences in the sub-continent is the Kyoorius DesignYatra. Soon to enter its ninth annual edition, its organisers’ aim has been to highlight excellence in communication design and advertising at an event that would bring together professionals into a single space where they could interact with each other. The first major event that set a trend for others to follow, the work and issues presented at DesignYatra represent the concerns of those in advertising, design and media. With an emphasis on harnessing the value of design for business, the DesignYatra is all about solid, mainstream work. 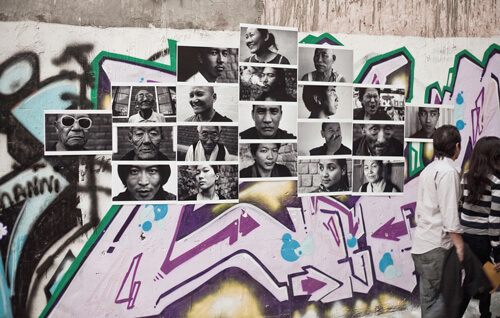 Some of the themes at Unbox 2012 were of Collaboration, Culture, Development and Inclusion. This panel discussion for example, considered the challenges of designing community-centric habitats. Photograph © Lucida. The UnBox Festival however, presents a different idea: that of alternate forms of contemporary practice. In a celebration of inter-disciplinary “action at the intersections,” the festival loosens up the conventional constraints within which design is commonly understood. The speakers, performers and even the designer-organisers of this event harness creative processes to solve problems and resolve social, political and technological conflict: writing workshops coincide with talks on urban renewal projects, and case studies on social activism through design follow panel discussions on branding. For those who wanted to get more involved, this year’s edition of UnBox offered fellowship projects that walked the talk of inter-disciplinary collaboration. As a combination of practice, discussion and display, UnBox can come across as an eclectic set of events. A tightly programmed conference however, was complimented by a constellation of parallel performances and events, bringing a clear open message of creativity rather than a narrow one of design. Following neither in the mainstream agenda of the DesignYatra, nor in the overlaps of UnBox, is the Pune Design Festival. 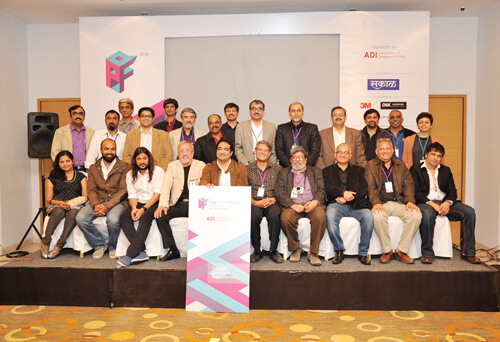 For the first time this year the event was supported by the nascent Association of Designers of India and it drew together many senior design educators and researchers, including members of the India Design Council with a straightforward two-day conference forming the nucleus of the festival. Given the composition of the crowd, some of the more significant discussion panels brought up questions on national design policy as well as design education. Clearly the issues discussed at PDF would have been out of place at other design events, but some of the deliberate and well-debated conversations I witnessed here came from participants with both authority and experience. It was a relatively less publicized event than others, but what it lacked for in glamour, it made up for in content. At the opposite end of the visibility scale is the India Design Forum: a huge event with dozens of sponsors, the first-ever forum in March this year whipped up a veritable frenzy of media coverage that will live on in public memory for some time to come. The sheer powers brought together for this event overshadowed one remarkable aspect of the programme: that it hosted not just the very best designers, but also leading artists, collectors, architects, fashion experts and policy makers. With such a star-studded cast of thinkers and doers, if the forum set out to address the idiom of Indian design, then it did so by engaging the whole spectrum of key figures. Rarely do the permanent pre-occupations of architecture and the ephemeral trends of fashion share stage space with the strategic convictions of design, but perhaps there is something to be learned here in how these disciplines define themselves in juxtaposition with, rather than in contradiction to each other. In this cross-pollination of ideas, design events are quickly becoming places where the idea of design is taking shape. Each event that I’ve attended in the last year is founded on a unique premise and sets a specific agenda. Brought together by a reflective programme of speakers and parallel encounters, the purpose of an event is to enable very specific conversations about the place and practice of design in the country. While many events prove to be turning points in the design debate – and certain discussions at UnBox and Pune Design Festival stand out here – there are an equal number of ideas that are not as important any more: a pet quest of conference organisers’ is the attempt to identify “Indian design” but in the midst of such a great variety of work, ideas and philosophies all simultaneously emerging from the country, I wonder – do we really need to situate a singular identity any more? 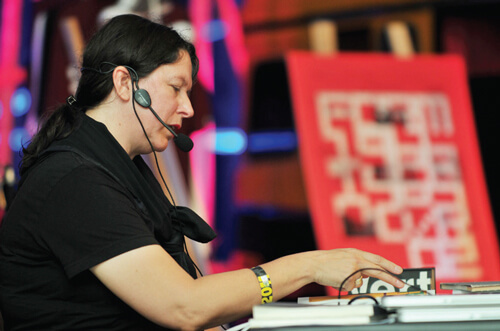 Each conference, seminar and festival has a common agenda: to promote design in India, from India, to the world. While all events make a temporary splash in the media, few carry the conversation further downstream. Accessible archives, websites, post-conference documentation and reliable press could not only empower the message, but also bring it to the attention of the public, businesses and most importantly, the government. A design legacy is the need of the hour and the people and organisations that are able to create platforms – not just events – will have the most to gain when the rented chairs are put away and projection screens are taken down. With new initiatives mushrooming across the length and the breadth of the country, it’s heartening to see so many diverse and distinct perspectives from the design world. The plurality of approaches will certainly go a long way in promoting a richer quality of design thought and practice, making for a vibrant creative economy. For those looking for “Indianness” however, maybe it’s to be found in the universal diversity of India itself. After all, there are many ways toenjoy a good cup of chai and lots of different places you can go to find it. This article was first printed in Kyoorius magazine issue 12 in 2012.